If you want the luxury of an S-Class but the capacity of an SUV, the 2020 Mercedes-Benz GLS is making a strong pitch to be the cosseting off-roader of choice. 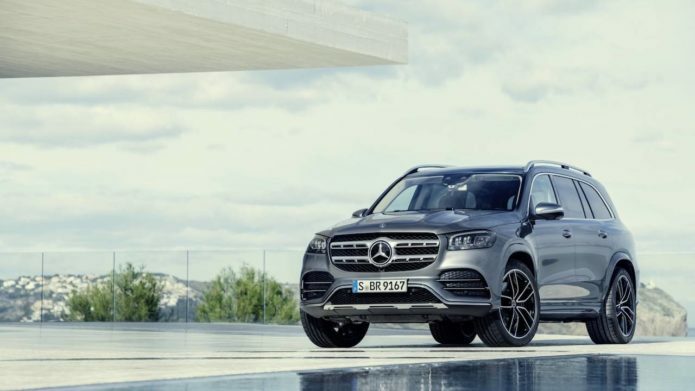 Debuting at the New York Auto Show 2019 this week, the all-new SUV is Mercedes’ biggest and most lavish, now larger, more powerful, and more well-equipped than before. As with the previous-generation GLS, there are three rows as standard. The 2020 GLS seats seven by default, though there’s now a six seat option, which has three rows of more luxurious Captain’s Chairs. It’s a no-cost option for the new model year.